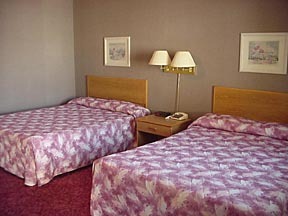 Our most affordable rooms include either 1 queen, 1 king, or 2 full sized beds. 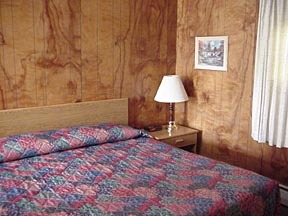 Each is equipped with color cable TV, phone and shower. 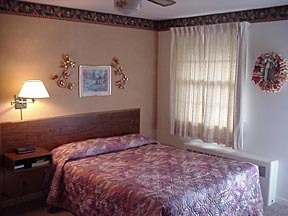 Our standard rooms, which are a little larger, also include either 1 queen, 1 king, or 2 full sized beds. Each is equipped not only with color cable TV, phone and shower, but with a mini-kitchenette with a small refrigerator and sink. 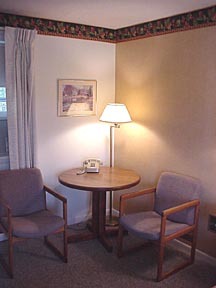 Our deluxe rooms all include 2 queen sized beds, except for 1 room with a king sized bed which is designed to be accessible to the disabled. 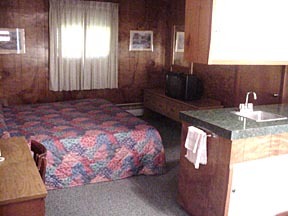 Each is equipped with color cable TV, phone and a full bath/shower. 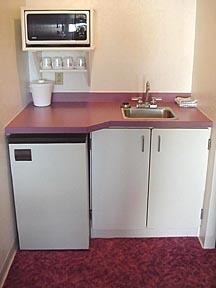 These rooms have a kitchenette with refrigerator, sink and microwave.